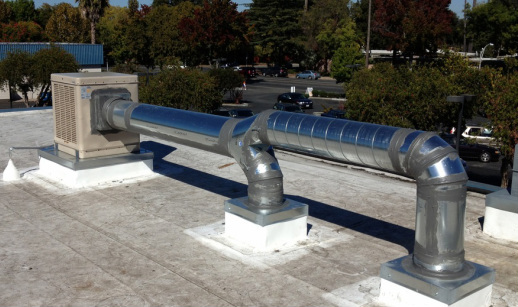 Make-up air system for Piazza's - Palo Alto Deli addition. RTD Mechanical focuses on various aspects of the HVAC trade. From Air balance to controls, we solve temperature. Engineering and design of forced air systems.